Just like every character trait in life, enthusiasm comes easily to some people and harder to others. But no matter where we fall on the spectrum, we can all stand to add some more enthusiasm to our lives because just a little can fuel our goals and aspirations in a powerful way. There is an indescribable infectiousness and attractiveness about someone who is enthusiastic. Why is that? Their lives somehow seem easier and more fun because they go into situations with energy and excitement. They speak and people seem to be captivated by what they are saying. Here at iGrin Children’s Dentistry, we strive to be enthusiastic in all of our affairs so that our little patients feel positive and even excited about their treatment. 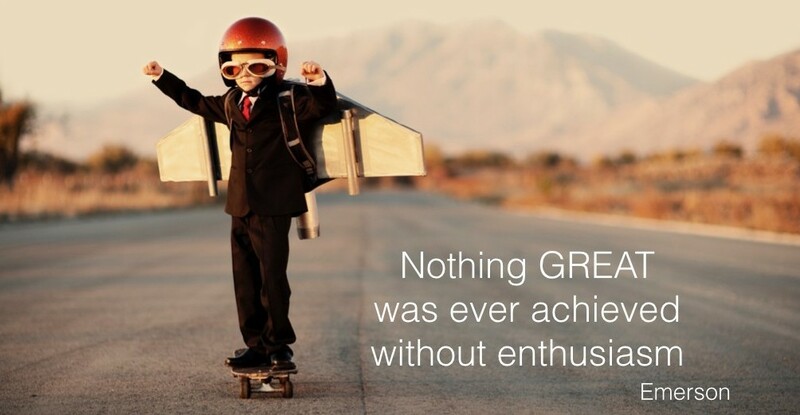 It is not surprising that enthusiasm yields more positive relationships and a healthier work environment. We came to work at iGrin Children’s Dentistry because there was something about the field of dentistry that attracted us. For many of us, it is the joy of helping children and giving them the best experience possible for a sometimes scary event. What is that one thing for you? What do you get up and go to work for? Build upon your knowledge and expertise of that thing so that when you talk about it you are sharing your passion and conviction behind it. Maybe you have a hobby that you enjoy outside of work that you can connect with a patient over. Enthusiasm is the spark, the drive that gets you excited about life. It can start with a particular subject that you love and spread into all areas of your life with a little practice. Focus this week on adding a pep in your step and upping your energy level and good habits will start to follow. Want to learn more about iGrin Children’s Dentistry? Check out our Facebook page and Google+ page!